Being Frugal and Making It Work: FreedomPop ~ Earn 400 SB When you get a $0.99 SIM Card: TODAY ONLY! 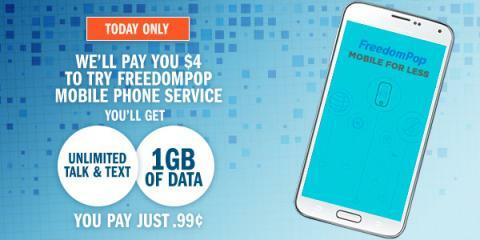 FreedomPop ~ Earn 400 SB When you get a $0.99 SIM Card: TODAY ONLY! Don't wait... JOIN SWAGBUCKS TODAY! !